Dale and Karen Hofstra’s dream is finally coming true. The Millet, Alberta, couple are milking cows with Dale’s father, but they’ll be milking cows in their own barn in May 2019 if construction stays on target. 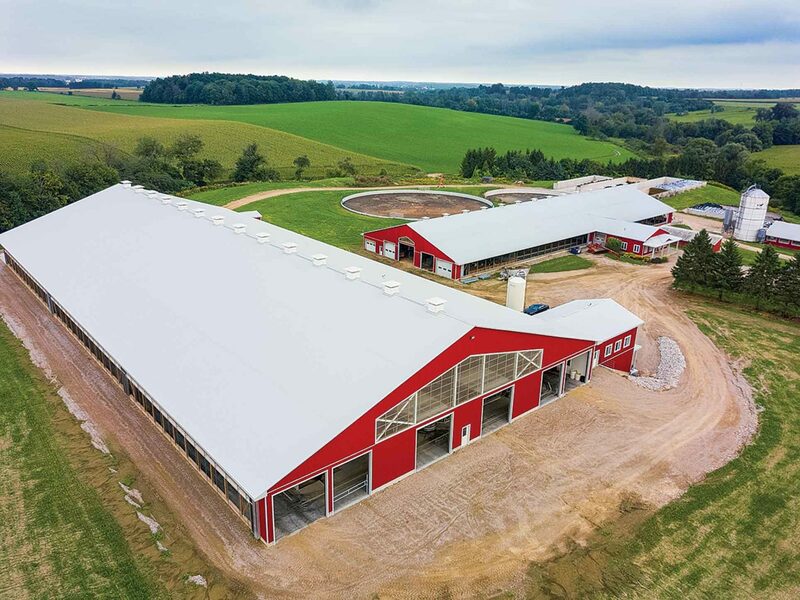 A decision to build a new dairy, hog or chicken barn isn’t one that can be made lightly; it’s one of the single biggest investments a producer can make. Structures are so costly that they have to meet your needs for at least 25 years to make economic sense. So, it’s critical to take time to research which designs will best meet immediate needs and fits into a long term strategic plan for the operation. No magic design. There is no magic barn design that will work for everyone, says Kate Norman with Stonecrest Engineering in Shakespeare, Ontario. A design that is ideal for one person might not fit another’s style or comfort level at all. Producers should try to stay knowledgeable about what the current technology and design options are available whether they’re imminently planning to build or not. Ask farmers what they like about their new barns and what they would have done differently. Get input from your vet, the milk truck driver, and your feed and equipment suppliers too. Patrick Verkley says 3D models help producers visualize cow flow. The first step in the planning process is to determine whether building a new facility makes financial sense for the operation or not, Verkley says. This requires solid analysis of the business fundamentals of your operation. There are lots of questions to be considered: What are your long-term goals? How will your proposed new construction improve your operation to make it more profitable? Will it allow you to use your labor force more efficiently? Will it reduce your cost of production? How big of an investment can you afford with your cashflow? 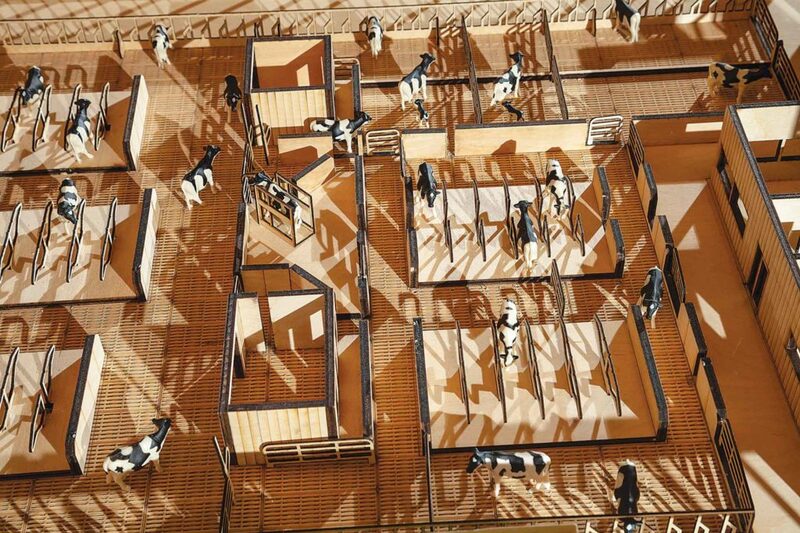 Are you planning to build a 100-cow barn, a 500-cow barn or a bank of 500-cow barns? Do you have the money to build everything at once or will you add more stages over time? The next step is to determine the most suitable site, Verkley says. Will your current location work or should you look at somewhere entirely new? There are many other factors to look at, Verkley says. These include: How close are you to your closest neighbors? Will you need to worry about urban encroachment within the barn’s economic lifespan? Will the site be able to meet all the environmental regulations and does it have room for future expansion? Kate Norman recommends keeping the design as simple as possible to make it easier to make future changes. Stacking multiple barns too close together will impact how the air flows through them, Verkley says. This makes it harder to maintain good air quality and keep the barns in the right temperature range. Once you’ve determined where you should be building, you are ready to work on what you should be building. Dairy farms have to decide whether they intend to install a milking parlor, a rotary, or use robots very early in the design process. 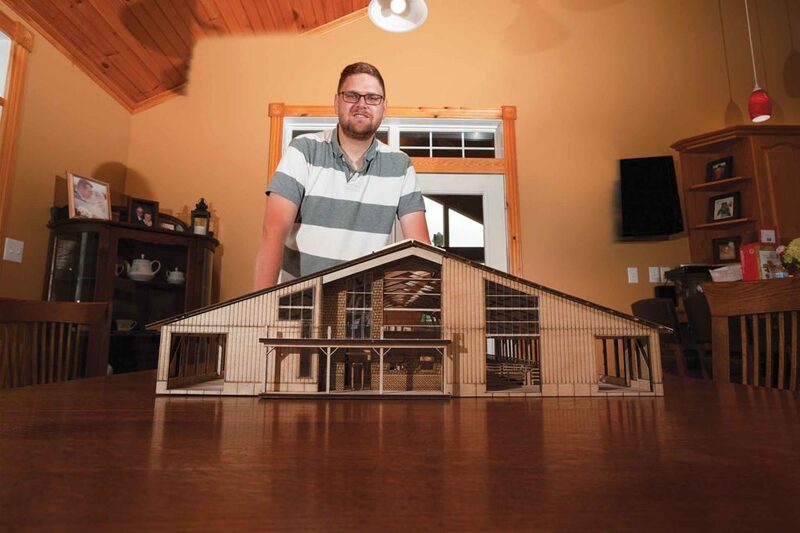 Verkley uses 3-D models to help producers visualize how their cows will flow through the facility and how they’ll move feed from the storage area into the barn. All the components have to work together to prevent building inefficiencies into the barn that increase the labor it takes for everyday tasks. Biosecurity can’t be overlooked either, Verkley says. It’s becoming more important to control who comes into your barns all the time so your design should give clues that tell salesmen and the public where to they should go when they arrive at the farm.